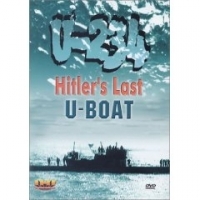 This DVD tells the story of the last voyage of U234. In March 1945 it leaves Germany bound for Japan. Its cargo includes an ME262 jet fighter and V2 rocket components, together with over 500 KG of uranium - bound for the Japanese atomic bomb program. Its passengers include a Luftwaffe general, armaments experts together with plans of Germany's latest weapons and 2 Japanese officers. Through the use of wartime footage, photographs and interviews of surviving people, we follow the last voyage of U234 as the allies pursue her and try to sink her. After the surrender of Germany, the crew decides to surrender to the Americans. When the Americans realise what the submarine is carrying - Uranium - people from the Manhattan project race to get this Uranium. Did the Uranium finally make it to Japan, delivered by the American Air Force instead of the Germans? Something we probably will never know for sure, but a fascinating little tale.